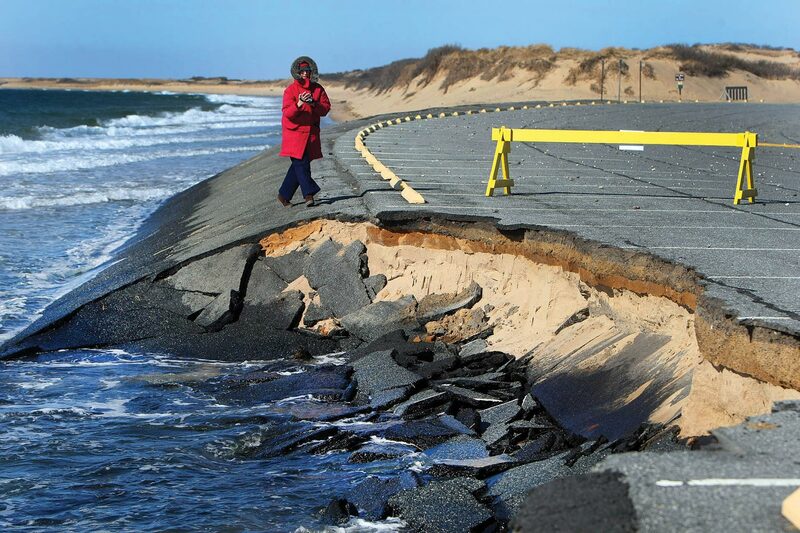 Damage to coastal roads is already a problem along the shores of the U.S. and will worsen as sea level continues to rise. No other region concentrates so many people and so much economic activity on so little land, while also being so relentlessly affected by the sometimes violent interactions of land, sea, and air. Humans have heavily altered the coastal environment through development, changes in land use, and overexploitation of resources. Now, the changing climate is imposing additional stresses,3 making life on the coast more challenging. The consequences will ripple through the entire nation. 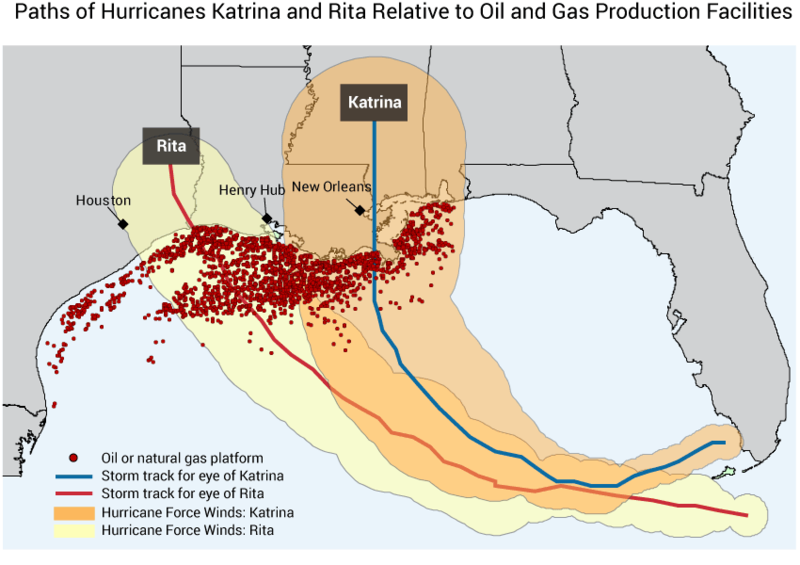 A substantial portion of U.S. energy facilities are located on the Gulf Coast as well as offshore in the Gulf of Mexico, where they are particularly vulnerable to hurricanes and other storms and sea level rise. (Figure source: U.S. Government Accountability Office 20064). 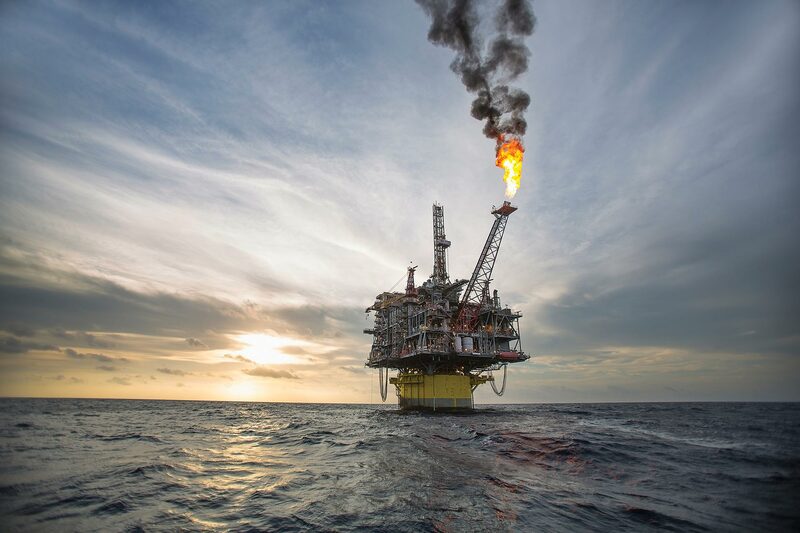 Natural gas platform in the Gulf of Mexico illustrates some of the infrastructure at risk from coastal storms. There are a variety of options to protect, replace, and redesign existing infrastructure, including flood proofing and flood protection through dikes, berms, pumps, integration of natural landscape features, elevation, more frequent upgrades, or relocation.37,38 Such adaptation options are best assessed in a site-specific context, weighing social, economic, and ecological considerations. Coastal recreation and tourism comprises the largest and fastest-growing sector of the U.S. service industry, accounting for 85% of the $700 billion annual tourism-related revenues.1,46,47 Hard shoreline protection against the encroaching sea (like building sea walls or riprap) generally aggravates erosion and beach loss, and causes negative effects on coastal ecosystems, undermining the attractiveness of beach tourism. Thus, “soft protection,” such as beach replenishment or conservation and restoration of sand dunes and wetlands, is increasingly preferred to “hard protection” measures. However, many of these ecosystems and the services they provide are rapidly being degraded by human impacts, including pollution, habitat destruction, and the spread of invasive species. 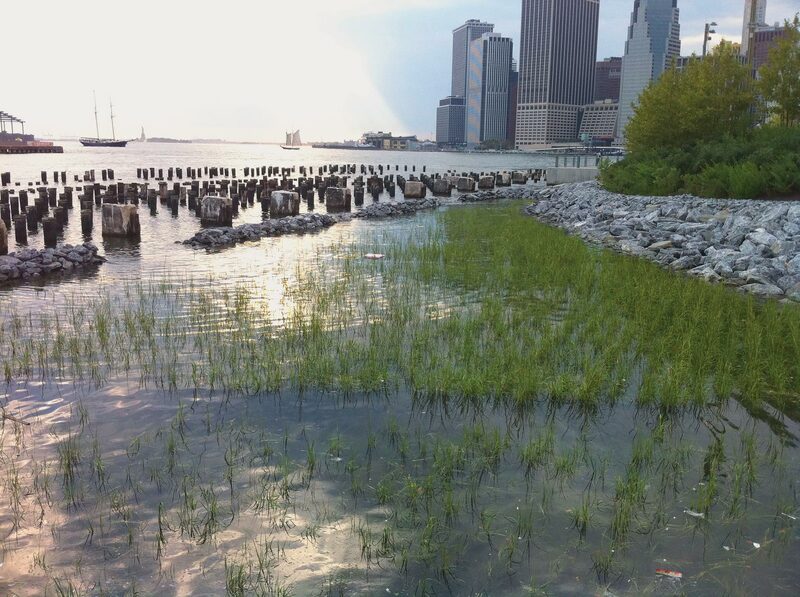 A coastal ecosystem restoration project in New York City integrates revegetation (a form of green infrastructure) with bulkheads and riprap (gray or built infrastructure). Investments in coastal ecosystem conservation and restoration can protect coastal waterfronts and infrastructure, while providing additional benefits, such as habitat for commercial and recreational fish, birds, and other animal and plant species, that are not offered by built infrastructure.